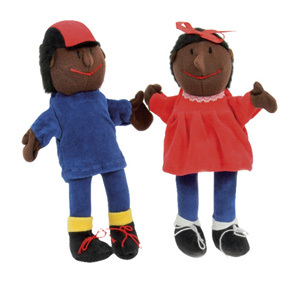 Our handpuppets are also available as fingerpuppets. These puppets are appr. 25 cms tall. Fingerpuppet girl is funny to work with and functions the same way as her big sister does. She can be moved by using your fingers. Ideal to tell stories. 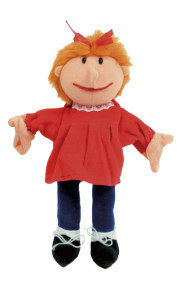 Fingerpuppet girl is sold separately. 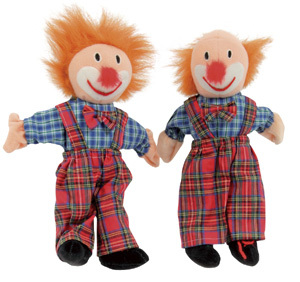 Fingerpuppets are funny and work the same way their big brothers and sister do. They can be moved by using your fingers. Ideal to tell stories. Sold per set and separately. fingerpuppet sets farm animals and zoo animals.